imp0rted stainless steel deep well submersible pump is a stainless steel multi-stage deep well submersible pump. It is a new high-end product developed and developed by Green advanced pump technology and equipment in england. The main parts of the pump unit made of stainless steel material, it has the advantages of high efficiency, abrasion resistance, anti rust, no pollution, beautiful appearance and convenient installation and operation, therefore, the extraction of groundwater is especially suitable for factories, schools and rural areas with, in addition, the water pump or industrial and civil engineering, geology and hydrology, irrigation pumping drainage of choice. imp0rted stainless steel deep well submersible pump adopts Green technology, and is the leader of deep well pump at present. The PB composite polymer impeller and guide shell are made of stainless steel shell, axle core, high strength sand resistant and abrasion resistant composite. Adopt a new "floating" impeller structure, each stage diversion shell with me-tal or rubber bearings, wear-resistant shaft sleeve, the performance of the best. 4. Automatic pressure regulating device, diving depth of 120 meters. Widely used in the irrigation of farmland and the supply and drainage of the plateau, enterprises and institutions, suitable for buildings, gardens, pumping water in rural areas. It is the most ideal equipment for geological and hydrological engineering, industrial and civil use, irrigation and drainage, pumping water. 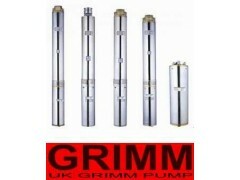 Uk GRIMM products have been widely used in various fields for municipal drainage, construction, petroleum, chemical, gas, food, pharmaceutical, power generation, me-tallurgy, mining, boiler steam system, pressure vessel, atomic energy, aerospace, rockets, and people's daily life.